Home > News > Can the North East produce the next stock market sensation? Can the North East produce the next stock market sensation? As the Alternative stock exchange turns 20, all eyes are on the North East growth companies that might be the next stock market sensations. Tom Keighley reports. The London Stock Exchange is looking forward to a bigger North East fraternity in the near future. That was the message Marcus Stuttard, head of AIM, brought to Tyneside this week as he used the junior market’s 20th anniversary celebrations to thank advisors and firms in the region for their support. The 16 North East companies currently listed on AIM raised some £185.4m on admission and the expectation is that both figures will get bigger and better. In the offices of Newcastle law firm Muckle LLP, the chief executives who led those flotations, and a handful of those with their eyes on AIM, sipped wine as they absorbed the impressive stats. 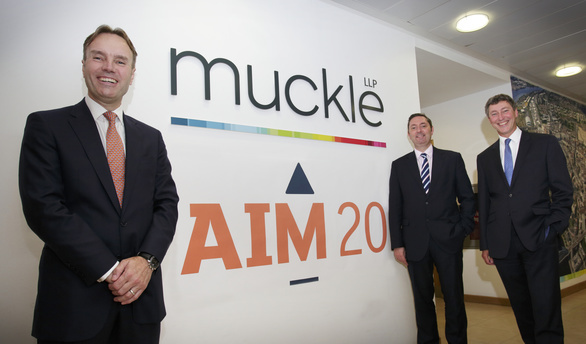 Click here to see the videos that Muckle LLP produced for the celebratory AIM 20 event. These include CEOs from companies who have listed discussing how AIM has benefitted their business. AIM boasts companies from more than 100 countries with a combined market capitalisation of more than £70bn. It’s a world beating market, meaning the North East car retailers, pharmaceutical firms and touch-screen technology innovators among its ranks are in good company. “We still see huge opportunity for companies in the North East to use the public markets and equity finance to scale up,” says Marcus. “Prior to the financial crisis people tended to view different forms of finance in isolation. Bank money was seen as totally separate to venture capital money, which was totally removed again from the public markets. That’s changed over the last four years or so and people are more aware of complementary nature. Marcus and his London Stock Exchange colleague Mark Fahy, head of UK Small and Mid Caps, both say they have noticed investor appetite for home-grown businesses in recent years. 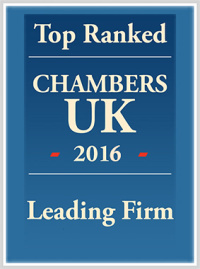 AIM’s own roster of 3,500 companies is around 80% British. Marcus concedes that more could be done to drum up interest in public ownership among retail investors in the likes of the North East – the normal people on the streets of Middlesbrough, Newcastle, Durham and Sunderland. He is confident that recent Government measures like abolishing stamp duty on AIM shares and making them eligible for ISAs will open the market up further. “It’s part of drive to enable and support individual investors in supporting the next generation of businesses. There’s no doubt – and it’s been said for a long time – local investors are definitely interested in backing local companies. We want to make sure we can really increase the profile of local companies – not just to individuals but also to institutional investors,” he explains. Two years ago the London Stock Exchange launched a new market called the High Growth Segment – designed to cater towards the next high-tech stars akin to the likes of Facebook, Twitter and Google. Britain had watched a flurry of showy tech flotations on New York-based Nasdaq, and now it wanted part of the action. Entrepreneurs listing on the new market can keep 90% of their shares. A premium listing on the main market requires a 25% free float of investors within the European Economic Area. Marcus explains: “These business often have venture capital investors that have a lot of faith in the business and its long term growth story. Therefore, they don’t wanted to be forced, by regulation, to sell 25% of the business in order to get the IPO. Over the last couple of years we’ve actually had a much stronger IPO environment. Over the main market and AIM we’ve had somewhere in the region of region of 35 to 40 technology company floats. The North East’s AIM cohort is relatively small in terms of market capitalisation. None of the region’s companies reach the top 50 by market capitalisation – the higher echelons populated with market poster boys like online fashion retailers Asos and handbag giant Mulberry Group. AIM’s ‘Elite’ programme is the latest effort in tempting regional companies to the market, or at least to consider listing in their strategy. Elite’s most recent cohort includes North Shields-based grocery wholesalers Kitwave; Sunderland-based outsourcing firm NAC Group and Newcastle-based technology innovators GRID. The 18-month programme draws together management teams from regional businesses that are considered just under the size typically associated with a flotation. Marcus insists it is not about forcing an IPO upon these companies but informing them of all finance opportunities. Sessions expose them to the advisor community and business that have already successfully floated. Chief executives and finance directors from different sectors and regions mingle to share insight on scaling up. The thinking is that companies may only experience an IPO or significant private equity fundraising event once or twice in their lifetime. Elite is their chance to tap into that knowledge at an early stage. While the number of North East-based firms on AIM may be fewer – the West Midlands hosts 25 for instance – the region does harbour its share of “bellweather” names on the main market. The likes of Greggs, Sage and Bellway all provide inspiration for smaller operators. For these firms there’s an important link between the region’s JEREMIE funding and the route to capital markets. Mark Fahy suggests the activity has put equity funding on the agenda at a much earlier stage for North East firms. Durham University spin-out Applied Graphene Materials is a good example of that trajectory. Having used £100,000 Proof of Concept the Redcar-based graphene innovators took to AIM in 2013, raising £11m. While high-tech businesses have the potential to excite investors, valuation can prove difficult – particularly where revenues are erratic or unconventional. Part of AIM’s mission has been to build an environment that can support this new breed of enterprise. Marcus explains: “Where you’ve got markets with a good critical mass and scale, it becomes easier to value these companies, even when there’s no direct peer group comparisons. We have better knowledge in the market because there are more advisors and analysts covering these stocks. We’re also seeing much greater early engagement between businesses and potential investors. Getting in front of investors early is crucial for many businesses with “bleeding edge” technology that requires explanation. Preparing the ground can also involve explanation of uneven revenues and the like – helping investors to track progress while the business is still private. “The wider growth environment has been strengthening for a longer period, not just post election. We’re seeing a much higher rate of start-ups and the importance of accelerators – a strong local theme in the North East – has increased. This article is reproduced from www.thejournal.co.uk on 26/06/15.